Dudelange have scored 2 goals or more in each of their last 3 matches. Astana have been undefeated in their last 17 home matches. 75% of Dynamo Kiev’s matches had under 2.5 goals in total. Slavia Prague have scored in each of their last 11 matches. Malmoe FF have scored 2 goals or more in each of their last 3 matches. Bordeaux have failed to score in 43% of their home matches. Rapid Wien have scored 67% of their goals in the first half. Astana have scored in 75% of their away matches. Dynamo Kiev have scored the opening goal in 75% of their matches. Astana have scored in 94% of their home matches. Dynamo Kiev have scored in each of their last 8 away matches. Spartak Moscow conceded at least 1 goal in each of their last 9 matches. Spartak Moscow conceded at least 1 goal in 75% of their home matches. 62% of Spartak Moscow’s conceded goals were conceded at home. Dynamo Kiev have scored in 100% of their away matches. 81% of Spartak Moscow’s conceded goals occured in the second half. Spartak Moscow conceded at least 1 goal in each of their last 6 home matches. 38% of Spartak Moscow’s conceded goals occurred after the 75th minute. Rapid Wien have failed to score in 50% of their home matches. 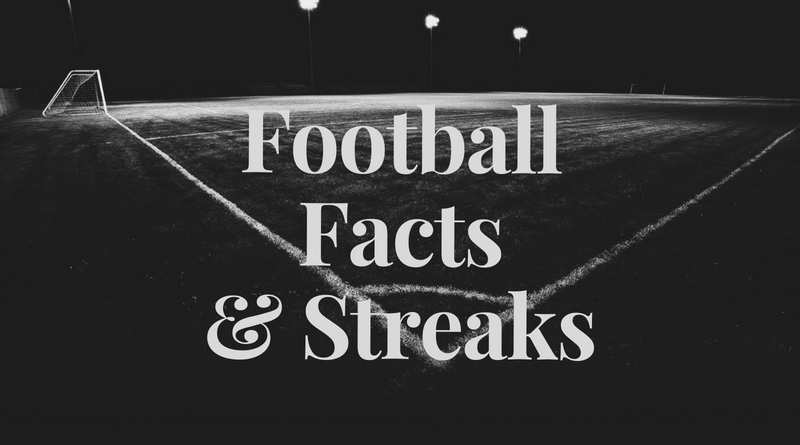 Rapid Wien have scored in 86% of their away matches. Astana have won 73% of their matches. 69% of Rapid Wien’s points have been earned at home. Astana have won 62% of their away matches. Rapid Wien have conceded 2 goals or more in each of their last 4 away matches. AC Milan have scored in 86% of their away matches. 76% of AC Milan’s conceded goals occured in the second half. AC Milan have scored the opening goal in 77% of their matches. Dudelange conceded at least 1 goal in each of their last 8 matches. 75% of Dudelange’s matches had over 2.5 goals scored in total. Dudelange have been undefeated in their last 6 away matches. 32% of Rapid Wien’s conceded goals occurred after the 75th minute. AC Milan conceded at least 1 goal in 100% of their home matches. Dudelange have scored in each of their last 6 away matches. Slavia Prague have won 75% of their away matches. AC Milan conceded at least 1 goal in each of their last 6 home matches. Dudelange have scored in each of their last 10 matches. Slavia Prague have been undefeated in their last 6 matches. Dudelange conceded at least 1 goal in each of their last 6 home matches. KRC Genk have won 62% of their away matches. 75% of Slavia Prague’s matches had over 2.5 goals scored in total. Slavia Prague have scored in 100% of their away matches. Chelsea conceded at least 1 goal in 71% of their home matches. Slavia Prague have scored 62% of their goals in the first half. 67% of Slavia Prague’s conceded goals occured in the first half. Slavia Prague have scored the opening goal in 81% of their matches. Malmoe FF have scored in each of their last 10 away matches. KRC Genk conceded at least 1 goal in 75% of their home matches. Slavia Prague were leading at halftime in 81% of their matches. Real Betis have scored 38% of their goals after the 75th minute. 73% of Olympiakos’s matches had under 2.5 goals in total. Dudelange have conceded 2 goals or more in each of their last 4 matches. Slavia Prague have won 81% of their matches. 80% of Olympiakos’s goals have been scored in the second half. Olympiakos have scored 47% of their goals after the 75th minute. Lazio conceded at least 1 goal in 71% of their home matches. Slavia Prague have scored 2 goals or more in each of their last 4 matches. 77% of Real Betis’s goals have been scored in the second half. Lazio have scored in 83% of their away matches. Slavia Prague have scored in each of their last 8 away matches. 76% of Real Betis’s conceded goals occured in the second half. Lazio have scored in each of their last 5 away matches. Apollon have won 78% of their matches. Slavia Prague have won their last 5 home matches. Real Betis have conceded 2 goals or more in each of their last 4 matches. Apollon have scored in each of their last 9 matches. PAOK Saloniki have scored in each of their last 5 away matches. 67% of Apollon’s matches had over 2.5 goals scored in total. Malmoe FF have been undefeated in their last 7 matches. KRC Genk have been undefeated in their last 8 away matches. 69% of Chelsea’s matches had over 2.5 goals scored in total. PAOK Saloniki have won their last 6 home matches. Chelsea did not concede any goal in 67% of their away matches. Malmoe FF have been undefeated in their last 11 home matches. KRC Genk have scored in 100% of their home matches. Chelsea have scored in 83% of their away matches. 64% of Chelsea’s conceded goals were conceded at home. Chelsea have scored 39% of their goals after the 75th minute. PAOK Saloniki have won 91% of their matches. PAOK Saloniki have been undefeated in their last 11 matches. Malmoe FF have scored in 80% of their away matches. KRC Genk have scored in 88% of their away matches. PAOK Saloniki have scored in each of their last 11 matches. 73% of PAOK Saloniki’s matches had under 2.5 goals in total. PAOK Saloniki have scored the opening goal in 82% of their matches. Malmoe FF have scored in 93% of their home matches. KRC Genk have scored the opening goal in 75% of their matches. PAOK Saloniki have been undefeated in their last 5 away matches. KRC Genk have scored 35% of their goals after the 75th minute. Chelsea have won 67% of their away matches. PAOK Saloniki have scored 2 goals or more in each of their last 5 home matches. Huracan have won their last 4 matches in Primera Division (Argentina).